Squinting occurs when a person wrinkles her brow and brings the upper and lower eyelids closer together. The wrinkled brow often distinguishes squinting from a person who has a naturally narrow opening between eyelids. If frequent or constant squinting occurs, a person should have an eye exam to determine the cause. A person who does not have good, clear vision may need to squint in order to see a little better. Though squinting may not give perfect vision, a person may have just enough improvement to make out words or objects they could not see. Squinting improves vision by slightly changing the eye's shape and also by altering the amount of light that enters the eye, explains the Cornell Center for Materials Research. Some people may squint when they experience eyestrain, and with rest, vision will often improve without the need for squinting. However, if a person routinely notices significant improvement in vision when she squints, she may need a new prescription for eye glasses. A foreign body in the eye may also cause squinting. Foreign bodies may include small particles such as dirt, an eyelash or plant matter, though some people may have small pieces of metal in their eye. In response to the particle in the eye, the eye will often close tight or squint as the eye's natural response to protect the eye's surface. If a person has a foreign body in the eye, she should not attempt to remove the object, says MedlinePlus. Instead, she should contact an eye doctor immediately. An injury to the cornea, the nerve-sensitive front window of the eye, may also cause squinting. A common injury, a corneal abrasion, often results from a scratch on the eye's surface. The eye may feel painful and irritated, causing a person to squint her eye. Minor abrasions may heal without treatment. However, if pain persists or vision changes occur, a person should contact an eye doctor. Many people experience light sensitivity, a condition also known as photophobia. For these people, bright lights or sunlight causes painful eyes, which often results in squinting. Light sensitivity does not always have a cause, though a person with symptoms should have an eye examination to determine the health of the eyes. 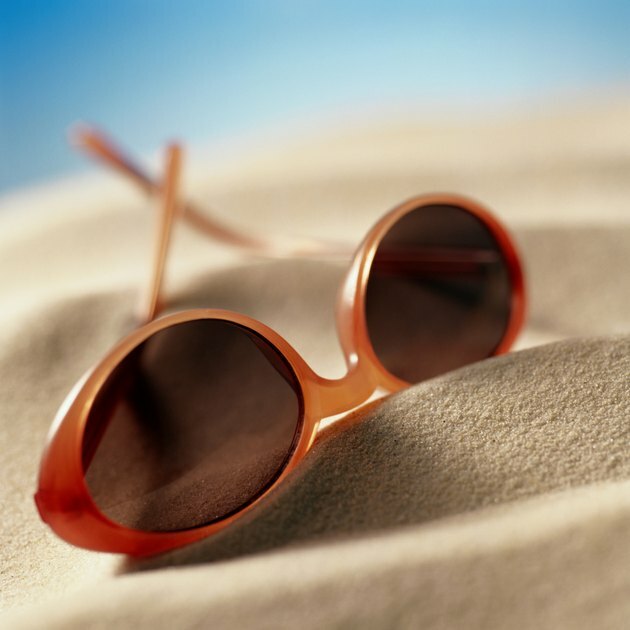 If a doctor determines a patient has no underlying causes, he may recommend dark sunglasses and low indoor lighting. However, some conditions do cause light sensitivity, such as migraines, corneal ulcers, and infections inside the eye, such as iritis, says Medline Plus. In these cases, treatment often improves the condition, decreasing light sensitivity and the need to squint. What Causes Light Flashes in the Eye? What Are the Treatments for a Sticky Eye From a Head Cold? What Are the Causes of Excessive Eye Blinking in Children?